“The consequences of this decision are largely embedded in our 2018 full year results,” Enders said. Airbus said it would start discussions with unions in the coming weeks regarding the 3,000 to 3,500 jobs potentially affected by the news. 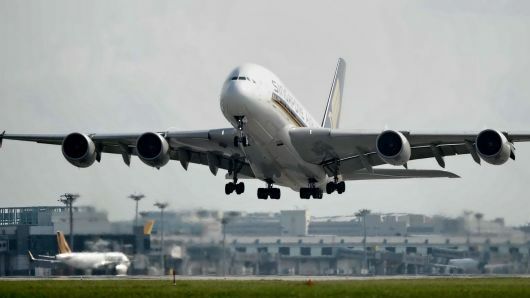 The very first commercial A380 journey flew under a Singapore Airlines banner in 2007. But despite proving popular with many passengers, the plane fell well short of expected sales targets, failing to secure a single sale to any U.S. airlines. The A380’s attempt to replace the Boeing 747 as the queen of the skies was swiftly undermined by the arrival of more fuel-friendly offerings such as Airbus’s own A350 or Boeing’s 787 Dreamliner. Lighter, more modern carriers have a greater ability to fly longer distances, such as Qantas’s London to Perth route, without stopping, thereby replacing hub-to-hub flying with more point-to-point flights.